​﻿﻿Nadia Lassman is an international artist with showings in Toronto, New York, Miami and Scottsdale. Lassman's landscapes are imbued with luminosity and warm, radiating contentment. Influenced by the Impressionists, Lassman's work reflects the happiness she feels, the beauty of nature, and her joy in travelling. 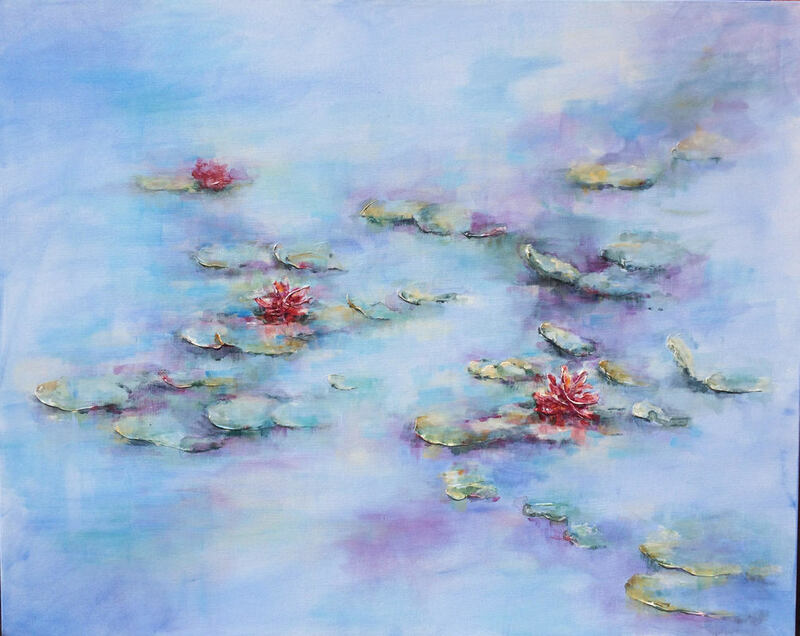 She is particularly fond of water scenes, keeping her viewers fascinated by the contrasting tones found there; the warm greens and yellows paired against the cooler shades of purple and blue that nature generously shares. By capturing seaside buildings with complex architectural details - such as rows of balconies and baroque facades - she is able to explore the complexity of man-made structures along with the interplay of light and reflections on the water. ​While Lassman sometimes paints with oil, she most often paints with acrylics. Her contemporary take on Impressionism is created by adding depth and interest to her romantic pieces with tactile, textured effects, which she achieves through the application of layers of pigments along with sand and gels. She specializes in bespoke paintings of clients' favourite vacation memories, allowing the paintings to become even more meaningful to them, and can recreate her own pieces tailored to clients' size specifications and decor. "Nadia is the new Monet of the art world and better! I was so fortunate to meet her at several Toronto art shows and immediately knew my house needed a Nadia Original painting. The work of art in my living room receives wonderful compliments. Nadia is an absolute pleasure to collaborate with: brings paintings to your home, helps with proper sizing, style and colour. Her collections of paintings encompass a vast array of diversity. She also will paint commissioned work. I am excited to own another Nadia Original in the near future. Nadia is a naturally talented and amazingly gifted artist!" "Nadia took the greatest of care to capture the essence of the moment we were trying to replicate from a photograph. She was meticulous in planning with us- everything from the quality and framing of the photograph she was using, the colour scheme, and the final location and size of the painting. She took the time to learn everything she could about the location she was bringing to life, as if to be there herself. We are transported to La Baule-Escoublac every time we look at that painting. Every home should have a Nadia Lassman original". "After seeing Nadia's great work at a number of local art shows, we decided to have an original painting commissioned by her for our dining room. From the outset, Nadia was professional and a pleasure to deal with. She attended at our house for an initial viewing and listened to our ideas regarding colours and scenery. She even made suggestions on the "right" size of painting for the room. Shortly thereafter Nadia contacted us that our piece was ready and delivered it to our home. We couldn't be more pleased with the painting...the colours and use of different mediums were incredible and certainly complimented our dining room beautifully, We proudly display Nadia's work in our home and have gotten a number of compliments on it. We look forward to working with Nadia again in the future". 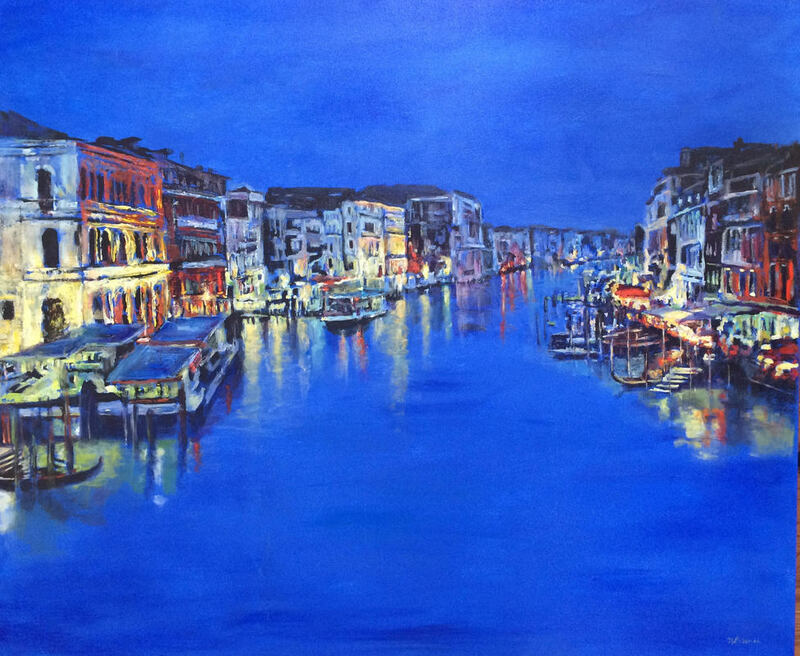 ​"I was extremely impressed with Nadia’s artwork and immediately drawn to the vibrant colours, the attention to detail and the feeling that you can walk right into the scenery and become part of it. Her artwork transports you to that particular place and time. Nadia was very professional, kind and considerate. My husband and I wanted her artwork for a particular wall in our home where it is visible to all guests. Nadia was very knowledgeable and gave us advice on the size and framing for the artwork which complements our home beautifully. We have received several compliments and will definitely purchase another Nadia Lassman work of art in the future. "